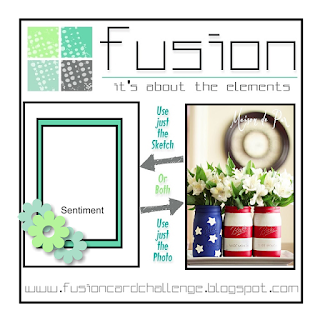 Today I am playing along with the Fusion Card Challenge. I knew when I first saw the Lil' Inker Designs Jar of Flowers Stamp set that it wouldn't be long before I made patterned Mason jars with the stamps & dies. I die cut the jar with the Jar of Flowers Die set and then stamped the outline with the coordinating stamp set. I wanted to add flowers but didn't want them to be inside the jar so I die cut and stamped the flowers from the same set and added them onto the jar as decoration. The little blue & gray flowers are the same die and same stamp so you can see how you can get quite a different look using the same stamp. I attached the jar to two pieces of layered printed papers that I die cut with the Pinking Edge Sentiment Flags die set. 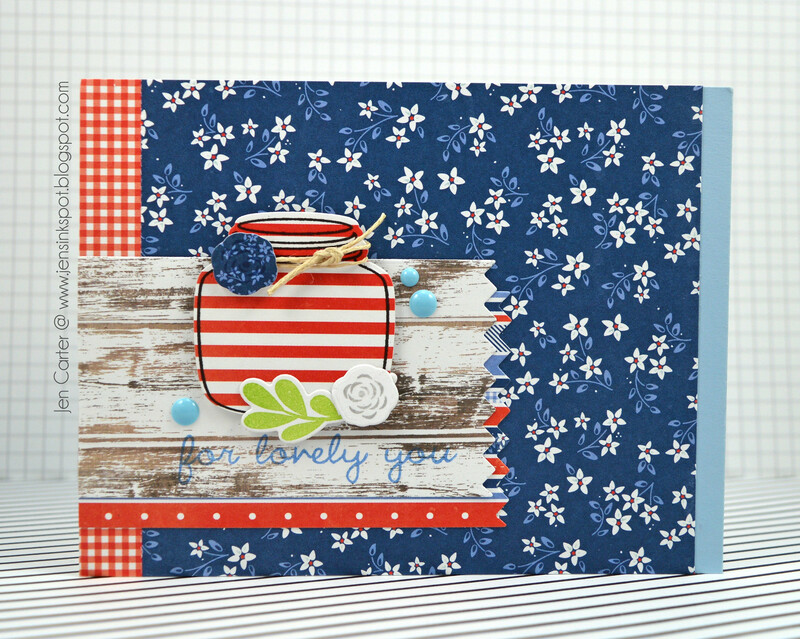 To finish the card off I tied some twine around the lid of the jar and added some enamel dots. Hi Jen! This is so beautiful! I love the mix of papers and that fun little bit of twine on the jar! Perfect for this challenge ! Lil' Inker Designs June Release Day 3 & Sale!